Gina Hansen is a Musician and Computer / Digital Music Teacher at Columbine High School. 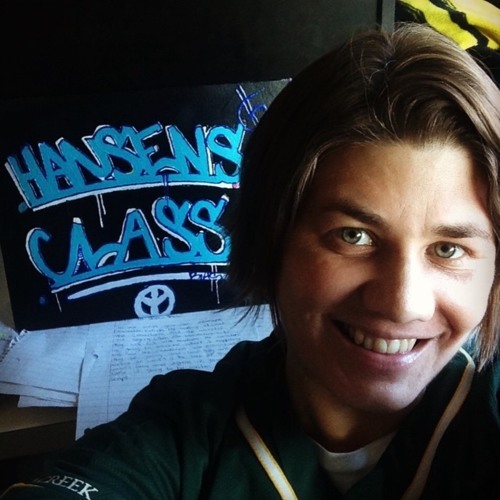 Hansen formerly ran a Digital Music Studio and Class at Pittsburg High School in CA teaching Recording as an active member of the local Bay Area Hip Hop Community. Hansen specializes in digital media manipulation, DAW production, live sound, and programming my own music apps and VSTi instruments. Student interests inspired from this year's students include Chillax, EDM, Progressive Rock, Hip-Hop Production, Film Audio, Student Production, Writing, Lunch Box Cyphers, & Lyric & Poetic Composition. STUDENT PROFILE TEXT: I am a student in Digital Music at Columbine High School, in Littleton, CO. The collection of songs associated with this account are a result of practice producing, mixing & composing digital music in class. I am influenced Artists like __________ and ______________ and am interested in the genres of _________________ music. In creating this account, I am hoping to hook up with people interested in ______________________.